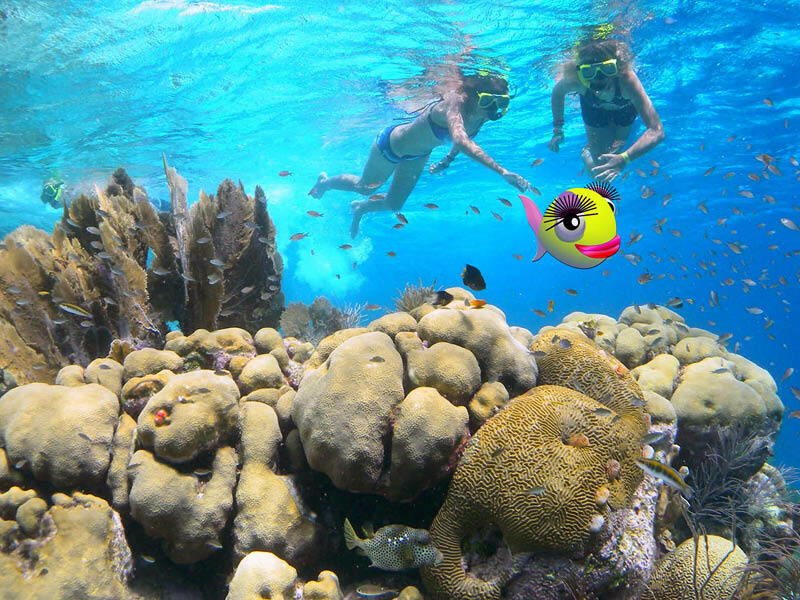 Discover Klein Bonaire’s colorful marine park without getting wet and learn about Bonaire, Klein Bonaire and the different species of fish and coral. Listen to the expert crew’s narration on underwater life as you pass over colorful reefs in the marine park and take beautiful underwater photos without the need of an underwater camera! 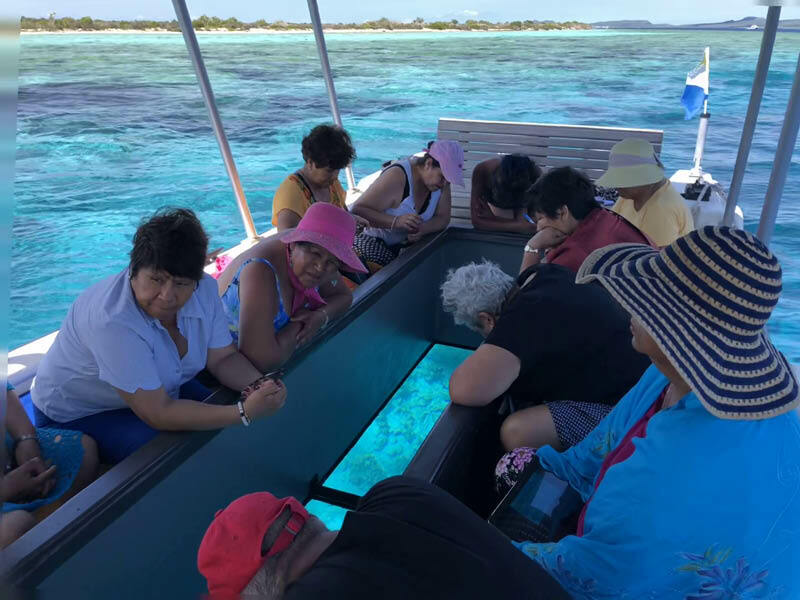 Take a glass bottom boat trip to Klein Bonaire and learn about the diverse underwater life from the expert crew before you jump in and snorkel at the colorful reef. 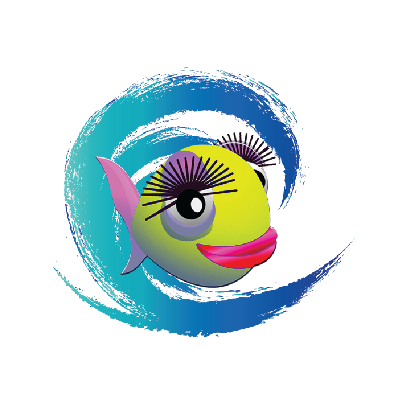 Come and see the amazing underwater world of Bonaire with us!. How many different species of fish can you find? 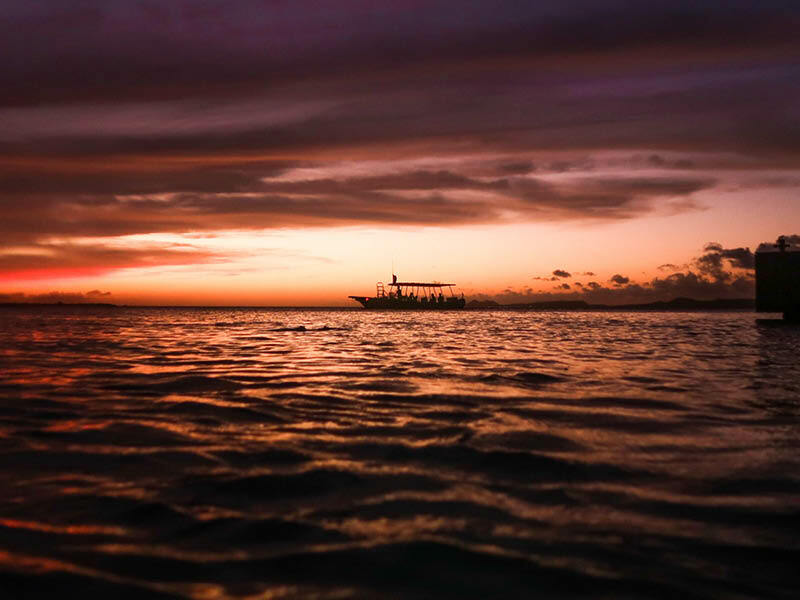 Finish the day with a spectacular cruise to Klein Bonaire and along the shores of Bonaire with open bar and learn about the island and its marine life. Watch as the sun sets behind the horizon and paints the sky into a million shades of red, purple and orange. Listen to the narration of your guide as you cruise through the marine park. 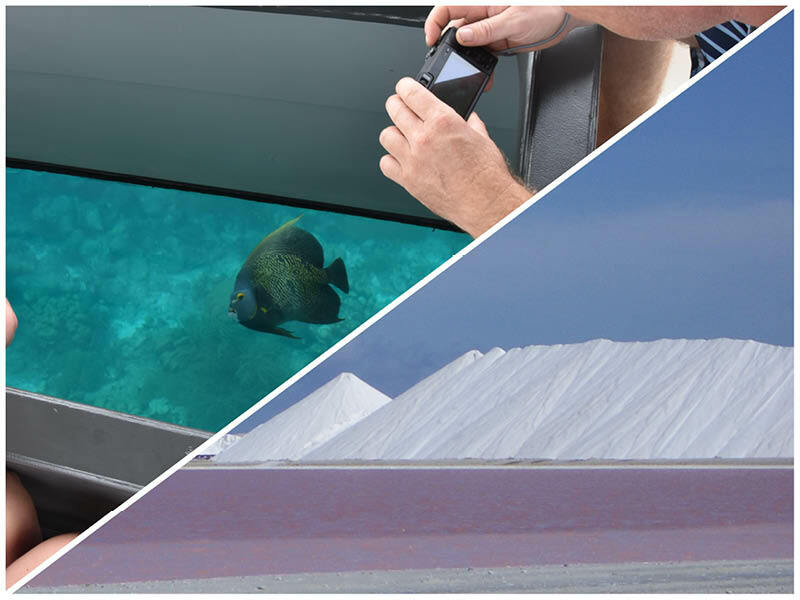 Watch as different marine animals pop up under the glass bottom boat and take photos of them without the need of an underwater camera. If you have done our daytime glass bottom boat excursion, you will see how everything changes in preparation for the night. Enjoy a drink and soak up with good vibes through this relaxing experience! Don’t miss this special phenomenon! Come watch the Ostracods glow! Every month, just a few days after full moon, a special phenomenon happens in the waters around Bonaire. Super tiny creatures (seed shrimps) swim to shallow water for mating. They glow to attract a partner, what’s called bio luminescence. Some say it’s like the sea turns into a sky full of stars. It is an absolutely mesmerizing experience that everybody has to see once in their life. 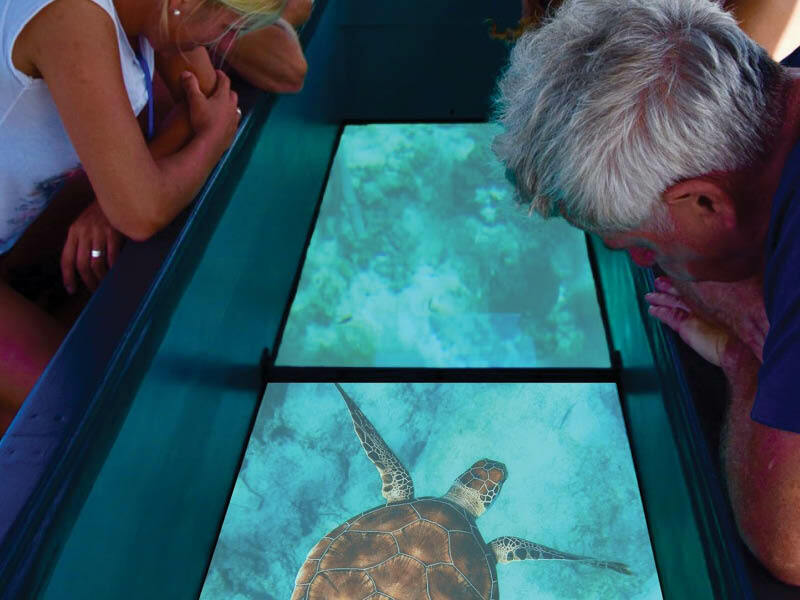 You may enjoy this magical show either by snorkeling or watching it through the glass bottom of the boat while enjoying a drink. The experience is something you will never forget. 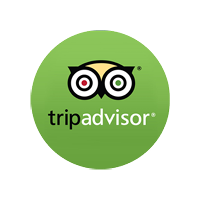 We offer you the opportunity to book a private tour! Create the tour you’d like to do at the time you want to go! Great for groups, families or couples.